Jukka Suomela will visit our group February 1 to March 29. 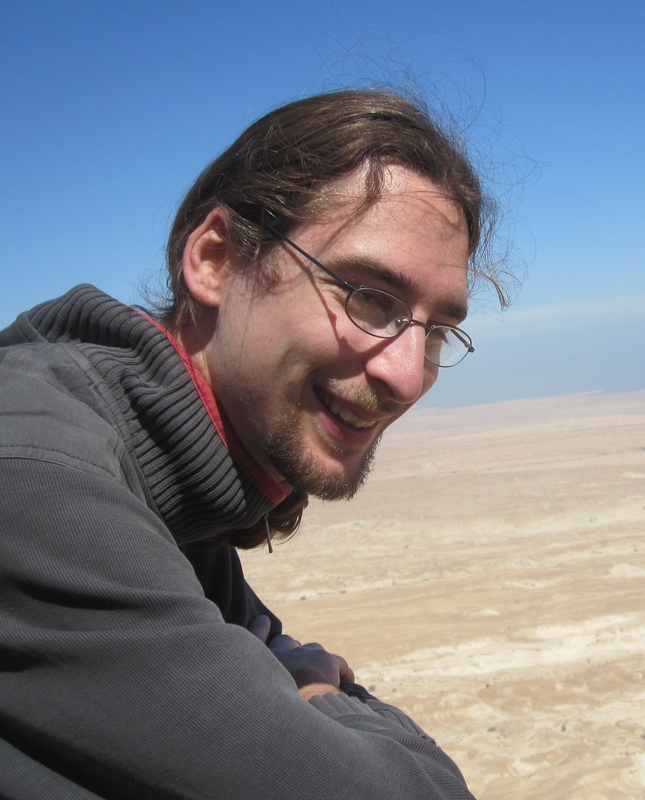 Boaz Patt-Shamir will visit our group March 11-18. I'm the contact person for BHons students from TU Vienna planning to do an internship at MPII. Further details. Theory of Distributed Computing, in particular clock synchronization, randomized load balancing, routing, graph problems (e.g. dominating sets, maximal independent sets, coloring), fault-tolerance, and algorithms in hardware. since August 2017: I'm the PI of the ERC starting grant project "A Theory of Reliable Hardware." since July 2014: Group Leader at MPI Saarbruecken. 2013 - June 2014: Postdoctoral fellow at MIT CSAIL, with Nancy Lynch. 2012: Postdoctoral fellow in the Department of Computer Science and Applied Mathematics, Weizmann Institute of Science, with David Peleg. 2011: Postdoctoral fellow in the Department of Computer Science and Engineering, Hebrew University of Jerusalem, with Danny Dolev. 2011: Ph.D. degree from ETH Zurich. Thesis: Synchronization and Symmetry Breaking in Distributed Systems. 2007-2010: Graduate studies, Distributed Computing Group, ETH Zurich. My advisor was Roger Wattenhofer. 2007: Diploma Degree in Mathematics, University of Bonn. Stephan Friedrichs and Christoph Lenzen. Accepted for publication by Journal of the ACM. Stephan Friedrichs, Matthias Fuegger, and Christoph Lenzen. IEEE Transactions on Computers, early access. Theory of Computing Systems, 63(2):261-305, March 2019. Mohsen Ghaffari, Andreas Karrenbauer, Fabian Kuhn, Christoph Lenzen, and Boaz Patt-Shamir. SIAM Journal on Computing, November 2018. Christoph Lenzen and Reut Levi. 45th Colloquium on Automata, Languages, and Programming (ICALP), July 2018. Christian Ikenmeyer, Balagopal Komarath, Christoph Lenzen, Vladimir Lysikov, Andrey Mokhov, and Karteek Sreenivasaiah. 50th Symposium on the Theory of Computing (STOC), June 2018. Matthias Fuegger, Attila Kinali, Christoph Lenzen, and Ben Wiederhake. Symposium on Asynchronous Circuits and Systems (ASYNC), May 2018. Johannes Bund, Christoph Lenzen, and Moti Medina. Design, Automation and Test in Europe (DATE), March 2018. Christoph Lenzen, Boaz Patt-Shamir, and David Peleg. Christoph Lenzen and Moti Medina. 19th Symposium on Stabilization, Safety, and Security of Distributed Systems (SSS), November 2017. 31st Symposium on Distributed Computing (DISC), October 2017. Christoph Lenzen and Joel Rybicki. Christoph Lenzen, Joel Rybicki, and Jukka Suomela. SIAM Journal on Computing, 46(4):1473-1500, August 2017. Christoph Lenzen, Nancy Lynch, Calvin Newport, and Tsvetomira Radeva. Distributed Computing, 30(3):169-191, June 2017. Matthias Fuegger, Attila Kinali, Christoph Lenzen, and Thomas Polzer. Symposium on Asynchronous Circuits and Systems (ASYNC), May 2017. Ghaith Tarawneh, Matthias Fuegger, and Christoph Lenzen. Design, Automation and Test in Europe (DATE), March 2017. Symposium on Stabilization, Safety, and Security of Distributed Systems (SSS), November 2016. Keren Censor-Hillel, Petteri Kaski, Janne H. Korhonen, Christoph Lenzen, Ami Paz, and Jukka Suomela. Danny Dolev, Matthias Fuegger, Christoph Lenzen, Martin Perner, and Ulrich Schmid. Journal of Computer and System Sciences, 82(5):929-956, August 2016. Attila Kinali, Florian Huemer, and Christoph Lenzen. Symposium on VLSI (ISVLSI), July 2016. 25th Symposium on Parallelism in Algorithms and Architectures (SPAA), July 2016. 22nd Symposium on Asynchronous Circuits and Systems (ASYNC), May 2016. Distributed Computing, 29(2):127-142, April 2016. Journal of Computer and System Sciences, 82(2):310-332, March 2016. 29th Symposium on Distributed Computing (DISC), October 2015. 34th Symposium on Principles of Distributed Computing (PODC), July 2015. Christoph Lenzen and Boaz Patt-Shamir. EATCS Bulletin 116, June 2015. Christoph Lenzen, Philipp Sommer, and Roger Wattenhofer. Transactions on Networking, 23(3):717-727, June 2015. Pierre Bertrand and Christoph Lenzen. Meeting on Algorithm Engineering and Experiments (ALENEX), January 2015. Mohsen Ghaffari and Christoph Lenzen. 28th Symposium on Distributed Computing (DISC), October 2014. Danny Dolev, Matthias Fuegger, Christoph Lenzen, and Ulrich Schmid. Journal of the ACM, 61(5):860-900, August 2014. 33rd Symposium on Principles of Distributed Computing (PODC), July 2014. Danny Dolev, Matthias Fuegger, Christoph Lenzen, Markus Posch, Ulrich Schmid, and Andreas Steininger. Journal of Computer and System Sciences, 80(4):30, January 2014. Danny Dolev, Janne H. Korhonen, Christoph Lenzen, Joel Rybicki, and Jukka Suomela. 15th Symposium on Stabilization, Safety, and Security of Distributed Systems (SSS), November 2013. Christoph Lenzen and Tsvetomira Radeva. 1st Workshop on Biological Distributed Algorithms (BDA), October 2013. Matthias Fuegger, Markus Hofstaetter, Christoph Lenzen, and Ulrich Schmid. 16th Conference on Digital System Design (DSD), September 2013. Christoph Lenzen, Martin Perner, Martin Sigl, and Ulrich Schmid . 6th Conference on Dependability (DEPEND), August 2013. 25th Symposium on Parallelism in Algorithms and Architectures (SPAA), July 2013. Christoph Lenzen and David Peleg. 32nd Symposium on Principles of Distributed Computing (PODC), July 2013. 45th Symposium on the Theory of Computing (STOC), June 2013. Danny Dolev, Christoph Lenzen, and Shir Peled. 26th Symposium on Distributed Computing (DISC), October 2012. Konstantin Fackeldey, Dorian Krause, Rolf Krause, and Christoph Lenzen. SIAM Journal on Multiscale Modeling and Simulation, 9(4), November 2011. 13th Symposium on Stabilization, Safety, and Security of Distributed Systems (SSS), October 2011. 43rd Symposium on Theory of Computing (STOC), June 2011. 30th Symposium on Principles of Distributed Computing (PODC), June 2011. Diss. ETH No. 19459, Ph.D. thesis, ETH Zurich, January 2011. 24th Symposium on Distributed Computing (DISC), September 2010. 29th Symposium on Principles of Distributed Computing (PODC), July 2010. 36th International Conference on Current Trends in Theory and Practice of Computer Science (SOFSEM), January 2010. Christoph Lenzen, Thomas Locher, and Roger Wattenhofer. Journal of the ACM, Volume 57, Number 2, January 2010. 11th International Symposium on Stabilization, Safety, and Security of Distributed Systems (SSS), November 2009. 7th ACM Conference on Embedded Networked Sensor Systems (SenSys), November 2009. 28th ACM Symposium on Principles of Distributed Computing (PODC), August 2009. 49th Annual IEEE Symposium on Foundations of Computer Science (FOCS), October 2008. 22nd International Symposium on Distributed Computing (DISC), September 2008. 22nd Symposium on Parallelism in Algorithms and Architectures (SPAA), June 2008.